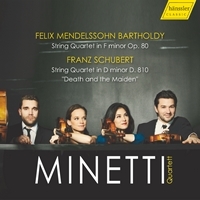 Seldom has one heard one of the best known works of Mendelssohn, the brilliant Hebrides Overture, so wild, gruff and raw, so fissured even, as in this concluding instalment of Mendelssohn symphonies with Jörg Widmann. 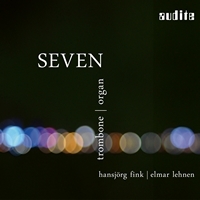 This is without question a thoroughly contemporary interpretation; we get the now universal sense of hearing anew that comes with period instruments, even though none are being played here. 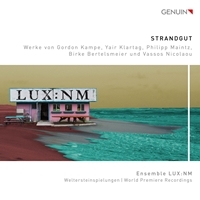 It must have been a real stimulus to the composer at the conductor’s desk – a music analyst in the highest degree – to take this music tamed by over-familiarity and strip it of everything that is pseudo-obvious and safely middle-of-the-road. 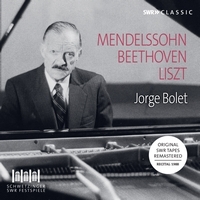 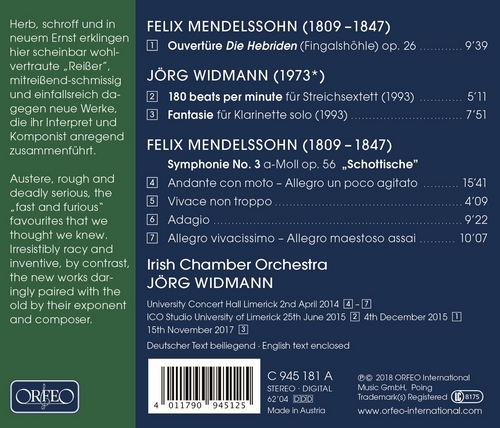 And it is that principle, faithfully followed in the earlier releases, of quite deliberately comparing and contrasting Mendelssohn’s works with the clarinet-playing conductor’s own that must have been what struck the spark and audibly kindled the music-making spirit of the Irish Chamber Orchestra. 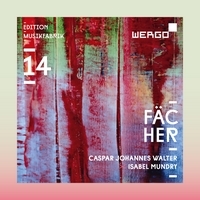 A drama otherwise reserved for the concert hall here comes across admirably on disc: the well-known early-19th-century works sound like new – almost alien – which is a compliment to their interpreters. 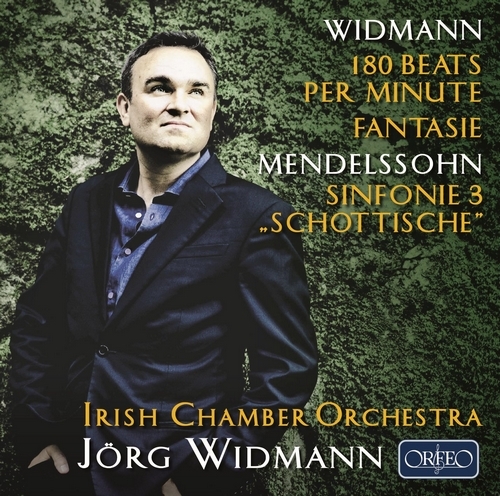 Widmann’s two early works, now a part of his own history, turn out to be good, even exhilarating, listening; inspired by the young composer’s disco nights, “180 beats” goes well with the fascinating “Fantasie”, played by the composer himself, which effortlessly surmounts the limits seemingly set on the harmonies of a monophonic wind instrument. 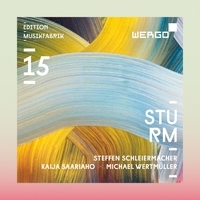 We may easily go astray when “placing” a piece of music, as the lively booklet-text tells us Schumann did when he credited the “Scottish” with an Italian flavour. 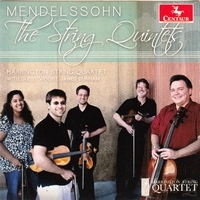 Be that as it may, this is a spine-tinglingly new way to listen to Mendelssohn’s music.